Goodbye to Berlin. 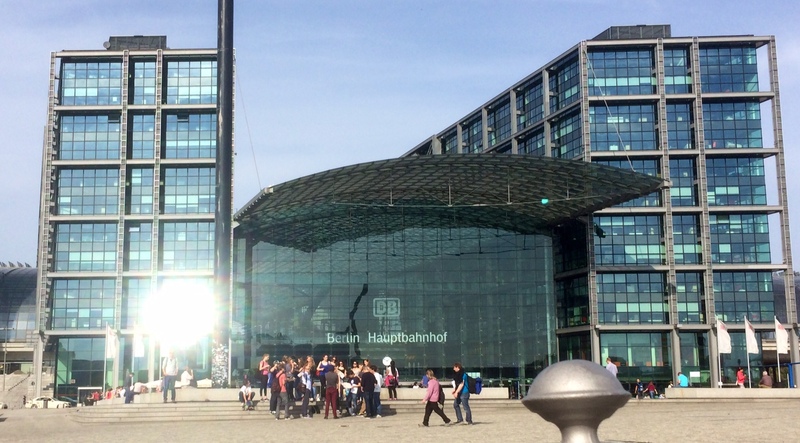 Here, the new Main Train Station gleaming in the afternoon sunlight. Berlin, Germany. On the FROM THE ALPS TO THE RHINE Tour. September 29, 2014. 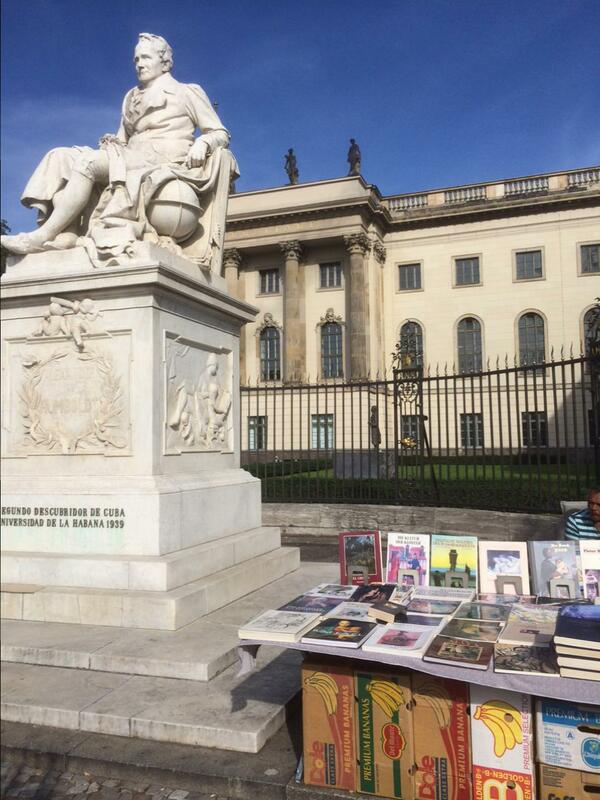 Alexander Humboldt and the Humboldt University. Berlin, Germany. On the FROM THE ALPS TO THE RHINE Tour. September 28, 2014. 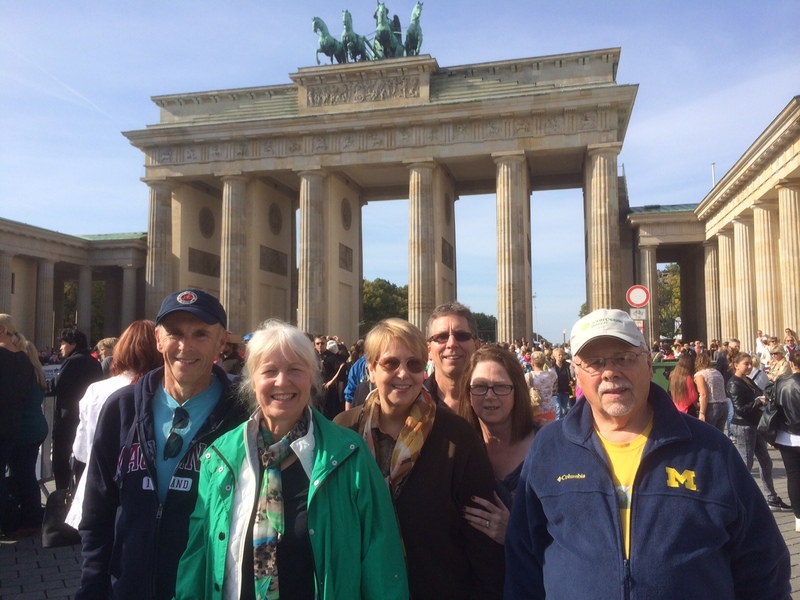 One of the world’s most famous archways, the Brandenburg Gate. Berlin, Germany. On the FROM THE ALPS TO THE RHINE Tour. September 28, 2014. 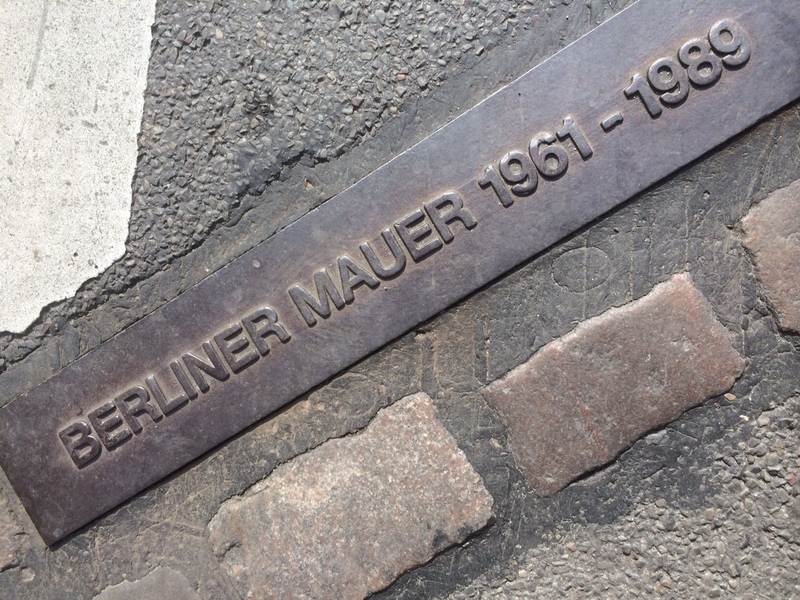 The brick and metal marker in the pavement showing where the Berlin Wall once stood. Berlin, Germany. On the FROM THE ALPS TO THE RHINE Tour. September 28, 2014. 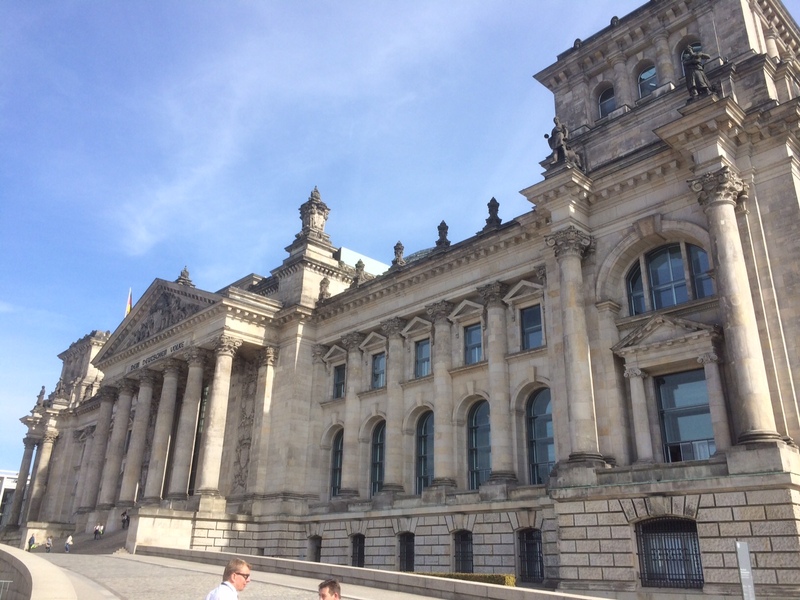 The German Capital Building, the REICHSTAG, Berlin, Germany. On the FROM THE ALPS TO THE RHINE Tour. September 28, 2014. 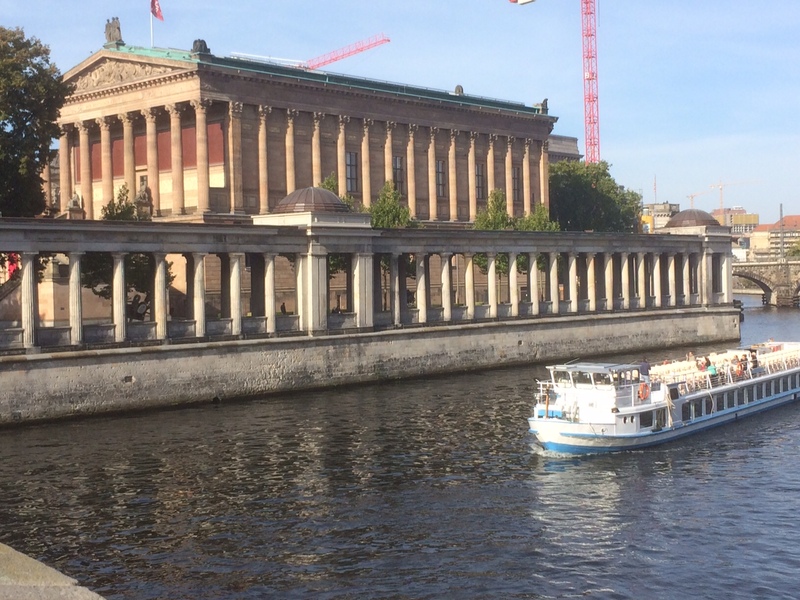 The Neo-Renaissance Museum Island and the Spree River. Berlin, Germany. On the FROM THE ALPS TO THE RHINE Tour. September 28, 2014. 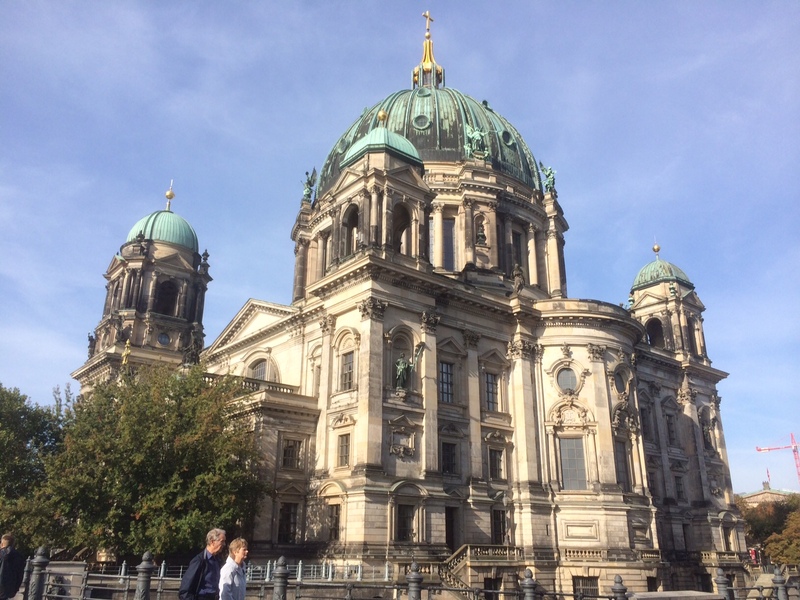 The majestic Berlin Cathedral. Berlin, Germany. On the FROM THE ALPS TO THE RHINE Tour. September 28, 2014. 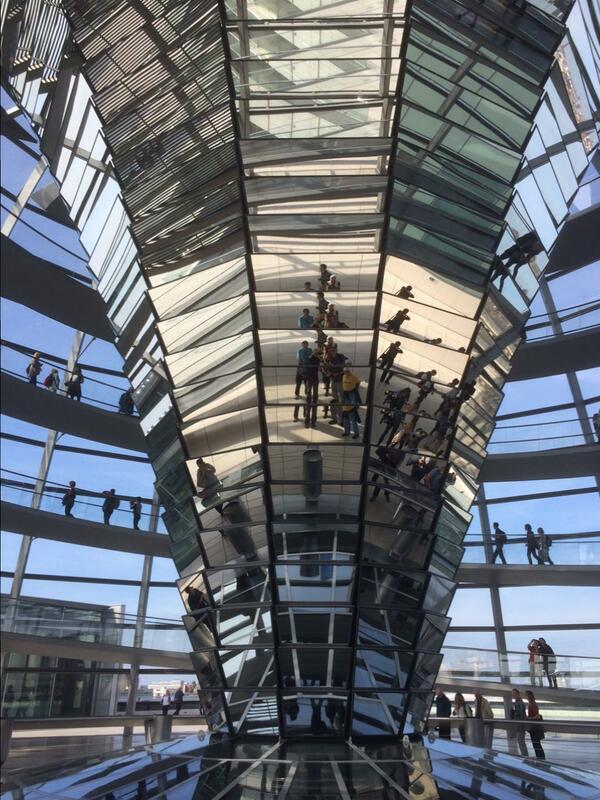 The enormous reflector mirror in the dome of the newly rebuilt German Capital Building, the Reichstag. Berlin, Germany. On the FROM THE ALPS TO THE RHINE Tour. September 28, 2014. 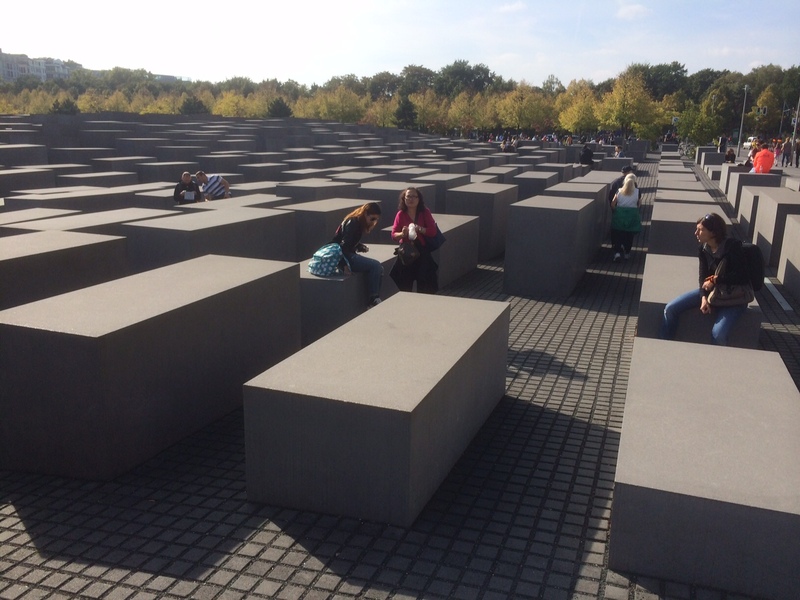 The huge stone monoliths of the Jewish Memorial, East Berlin, Germany. On the FROM THE ALPS TO THE RHINE Tour. September 28, 2014. 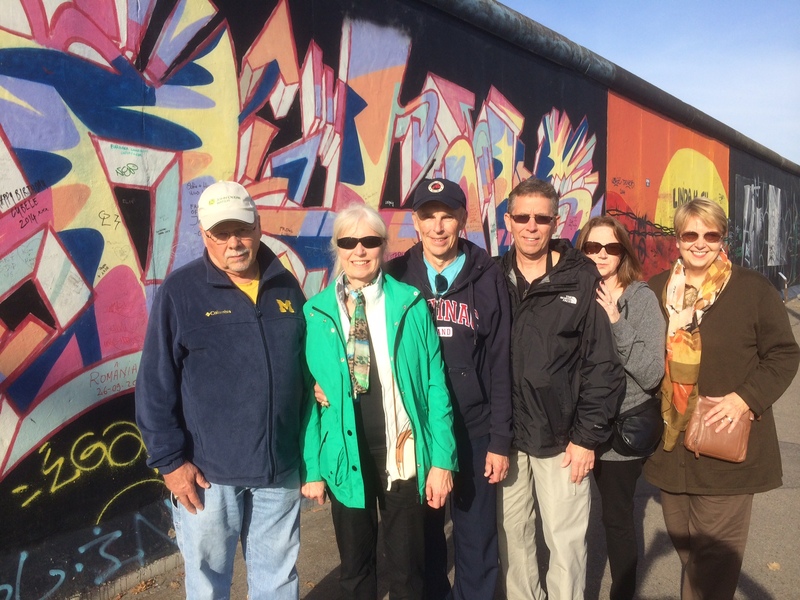 At the East Side Gallery, the largest remaining section of the Berlin Wall. Berlin, Germany. On the FROM THE ALPS TO THE RHINE Tour. September 28, 2014.